I actually got this for about £14 from Fragrance Direct so much cheaper than its original price. This is probably my favourite perfume from the bunch. 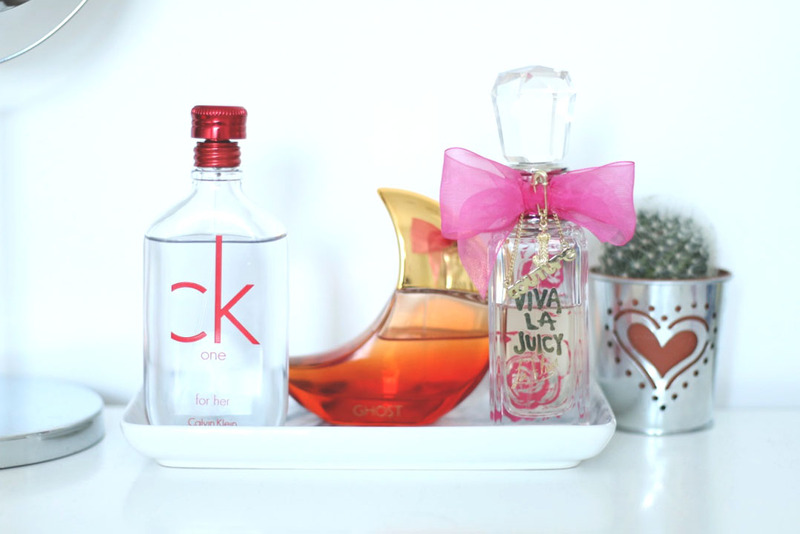 Its chic and sleek bottle looks lovely on my dressing table also. This is more of a sweet scent opposed to musky, with top notes of juicy watermelon, mid notes of invigorating florals and dry notes of velvety musks. This doesn’t mean an awful lot to me but if you know about your perfumes, hopefully thats helpful! Its definitely a mixture of scents but it works so well and I love it. It also lasts all day and I can still smell it on my clothes the following day so that gets a thumbs up from me! I’ve had this for a good while now and I still love it. How amazing is that bottle though? I feel as if this is a very summery scent, however I still wear it all year round because I just love it. With top notes of, bergamot, marigold and mixed fruits its clear its a very sweet scent. Spot a theme here? I just love a good sweet scent and I think a lot of people would love this fragrance. It doesn’t last all day however which is kind of annoying but when first sprayed, is very strong and slowly fades out. Definitely the most daring bottle of perfume I own, and kind of childish really. However I just love the scent of this (obviously) but again I feel its a very summery ‘happy’ scent. Even though again, I wear it all year round. Its said to be a floral scent but I don’t really agree with that. I think its very fruity with a hint of floral underneath, its actually quite a subtle scent thats not too in your face. The longevity of this is really brilliant as well, lasting pretty much all day.